Happy Halloween! The Bridal Bar wishes you a very happy and safe Halloween! 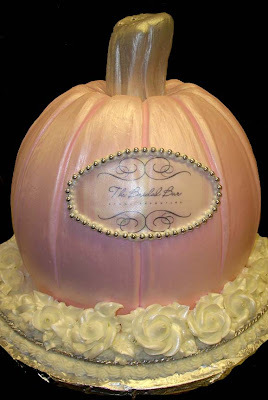 What better way to celebrate than with a pumpkin shaped bridal bar wedding cake? We got to feast on this sweet treat thanks to our friends over at Hansen's Cakes...have you ever seen a pink pumpkin?!?!?! Yummy! So many of the talented Bridal Bar vendors get recognized each year for their accomplishments, and this year's MyFox LA's Hot List is no exception. Please vote for these fabulous companies as they are of the best in the biz on the West Coast! Please vote and good luck!!! 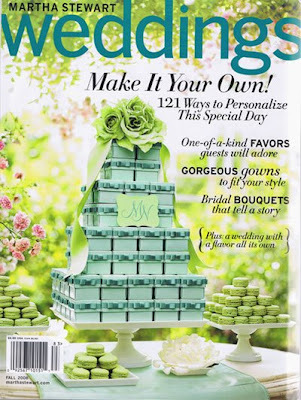 So it's rare that you will see me (the author) on this site...but I couldn't resist sharing this post from the fabulous Darcy Miller (weddings editor of Martha Stewart Weddings). Not only does she juggle her family, her tv and radio appearances, and the magazine, but she writes the blog staple, The Bride's Guide. I had the enormous pleasure of spending some time with her while in NYC with the gang from Get Married. And over the weekend, Darcy blogged about our visit! We caught up at the tabletop market where the magazine displayed a live demo of their newest cover (and Martha herself even came by to take a look). 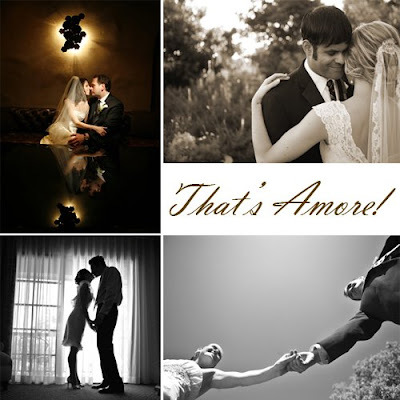 Take a peek at the cover and the photos from her blog... Thanks Darcy! Vera is obviously one of, if not the queen of bridal, but this season her fairy princess inspired gowns are beyond worthy of royalty. This was one of my favorite collections of the week...you could hear gasps of amazement in the crowd! True fantasy, regal, feminine beauty. 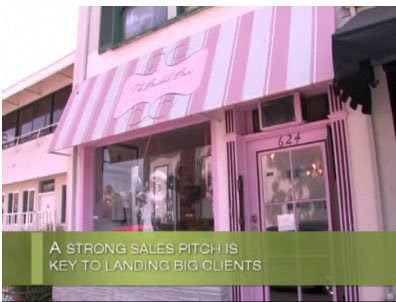 Can't wait for her giant new LA salon to open next year so us So Cal girls can get back to shopping! Check out these photos and more (plus video) on the Get Married Fashion Pages. Believe it or not, these gowns haven't even scratched the surface! Her new corresponding jewelry collection is just as fab...stay tuned for those to follow soon! Sorry we've been a bit tardy on our posts! 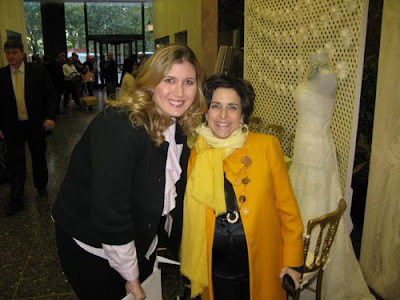 This past week Get Married was at NYC Bridal Market to catch the latest and greatest trends from all of the hottest bridal designers and we were lucky enough to tag along to see all the amazing gowns up close and personal. 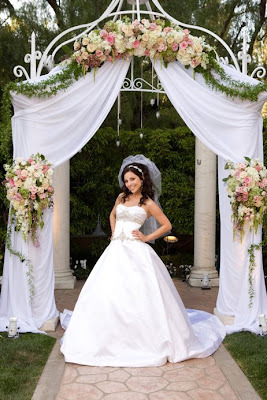 Check out all the videos and photos from the Get Married site on the GM Fashion Pages. Up first in our photo recap is the incredibly talented Jenny Packham. Her gowns are always so glamorous - the beading, the bling, a favorite of ours for sure! This season she brought in gold antique accents...new trend for 2009? Check out these fall and winter favors by the gals over at Creative Touch Decor. A little festive dressing goes a long way on an old candle favorite. The beauty of it? They can customize to fit any theme, color palette, or design idea you can dream up! 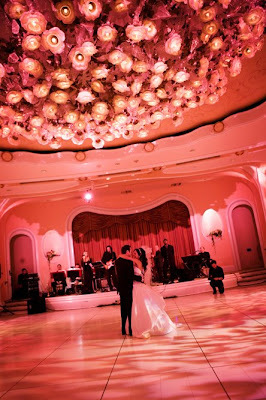 Chandeliers are the hottest thing to hit the aisle ways since the custom wedding runner. So how do you differentiate your event? Your maids can wear black, so why can't your room? 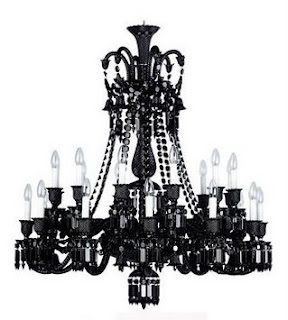 Event design takes it's p's and q's from home design and that brocade black chandelier is hotter than ever before. Why not mix it into an all-white after party? A cocktail lounge? Or even above your sweetheart table? If there were such a thing as a fairy tale wedding, then Runya and Jason had it. 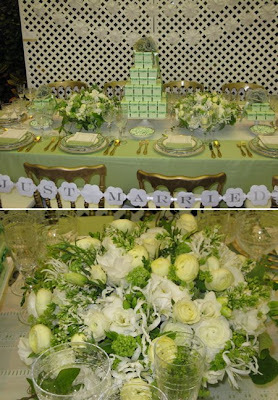 The couple said "I Do" at the famous Beverly Hills Hotel. Runya wore a stunning Kenneth Pool ball gown and was truly a princess bride. We just love how much fun the bride and her maids had before the ceremony - the photos really capture the excitement of the big day. 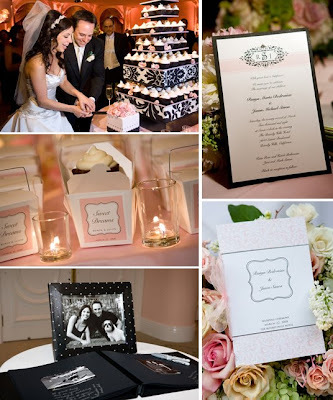 No detail was left undone, from a cupcake tower to a swarovski crystal on each and every menu and a takeout box treat for each guest, the day was filled with romantic and sweet touches. One thing we noticed in particular about this wedding was this photo, of the couple dancing in the empty ballroom - not something you see everyday. We just love the idea of sneaking the bride and groom into the reception location for a couple of quick and quiet, romantic shots of the two of them...without anyone looking on. 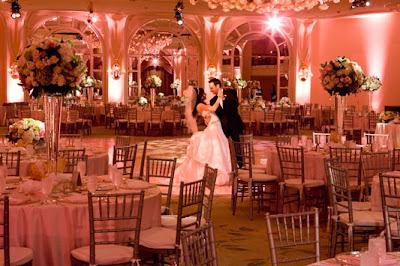 And then of course the first dance shot, with everyone looking on in that gorgeous Crystal Ballroom at the BH Hotel. Thanks for sharing your wedding with us, the new Mr. & Mrs. Simon! The Bonnie Marcus Collection actually donates a portion of their proceeds to worthy charities year-round, so this month is no exception. Give back when giving your maids little goodies. Our favorite? These purse pads to keep them organized on the go. 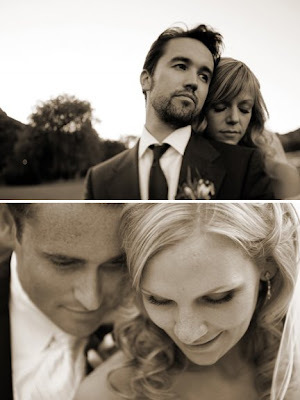 Check out these lovely lovers captured by the gals at Red Loft Studios. We were hanging out over on their blog and got inspired to share some of their recent brides and grooms. 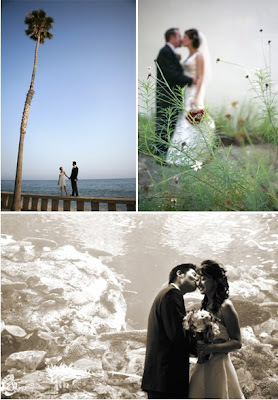 The venues these couples picked were pretty incredible too, the Long Beach Aquarium, the Hollywood Roosevelt Hotel, beautiful So Cal beaches, and even a ranch setting outside the city. 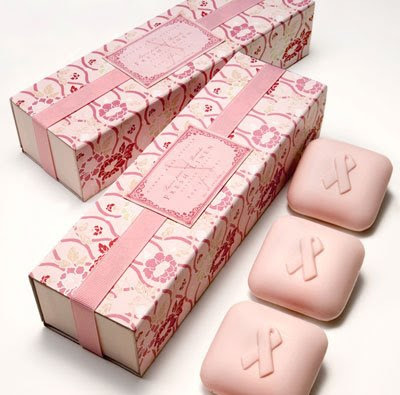 Next up in our fight for a cause are these fabulous pink ribbon soaps from Gianna Rose Atelier. 15% of the proceeds are donated to the Triple Negative Breast Cancer Foundation to support their fight for a cure. What better way to say thanks to a lady in your life who helped you with your wedding or co-hosted a shower for you!?!? A few months back The Bridal Bar had a visit from the original Apprentice himself, Bill Rancic and his team. Bill is hosting a new A&E show called We Mean Business. He's making over struggling stores that have a lot of potential and while he didn't make us over, we were part of the process to help get Berry Elegance back on its feet. Our fabulous Kristen took this one on her own and met with the owners and the makeover crew to help bring their brand back to life. Check out the full episode and makeover online at A&E. Thanks A&E for the visit, we had a great time!! Robert Evans Evites You to Use His Photos! One of our favorite celeb photographers, Robert Evans has teamed up with Evite to bring you his AB FAB photos for free - when you create an invite on evite. 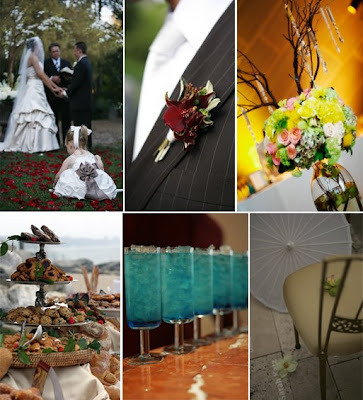 Rehearsal dinners, showers, after parties, or just plain parties - Robert's work can announce your fete for free! Check it out and tell us what you think! Congrats Robert!! 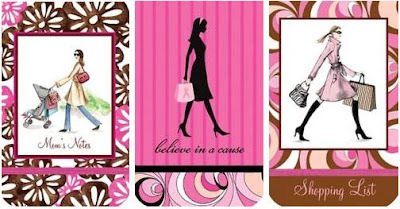 It's that time of year again, October is Breast Cancer Awareness Month, which means it's time to shop for a cause! And Weddingish is thinking Pink! Shop now through October 7, 2008 and Save 30% on every purchase! Enter coupon code: pinksale to redeem savings. A portion of the proceeds will be donated to the Making Memories Breast Cancer Foundation. 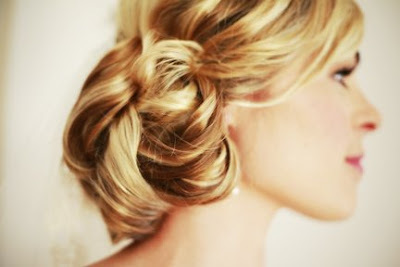 Stock up for your bridal party now and support a great cause!